Recovering from an illness or injury is never fun, which is why you might be thinking about ordering flowers for a family member in the hospital. However, since hospitals have stringent cleanliness and health standards, it is important to select your arrangement wisely. 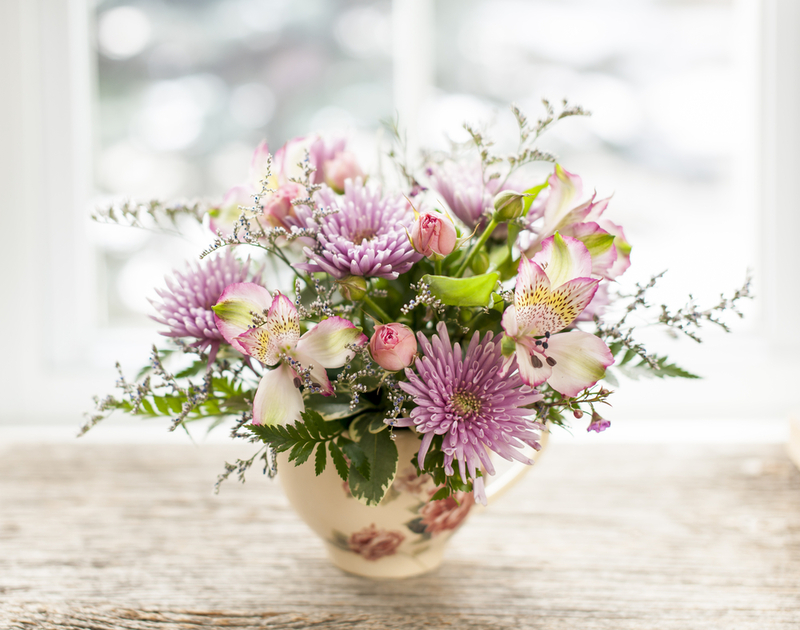 Since neighboring patients, doctors, and nurses can have allergies to certain flowers, try to choose a floral arrangement made with blooms with enclosed pollen stamens. For example, roses, chrysanthemums, and peonies have enclosed pollen stamens, while flowers like lilies could spark allergic responses in others. Before you purchase flowers, check with the nursing staff to see if arrangements are allowed in the room. Since many hospital rooms are small and have very limited counter space, try to choose small arrangements over flowers that are tall or bulky. Small floral arrangements are also easier for patients to transport home after their hospital stay. Remember, you can always send multiple floral arrangements to show your love, but large get well flowers can make it difficult for patients and doctors.